I use Family Tree Maker. I created a fact for "unrelated individual" and then I colored all those individuals and saved the list. I update the list regularly by running the filter and coloring the new individuals. This way I always know which individuals are on NOT YET my blood relatives and I don't run the risk of mistaking individuals especially since the first names are so often the same. Very clever! That's an excellent approach. I'm about to have a 3-day weekend during which I plan to get all the disconnected people tagged. 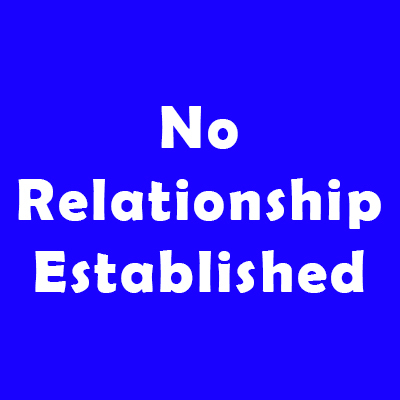 NOTE: I'm examining my list of individuals in my tree sorted by relationship. It turns out that complex relationships are being labelled as UNKNOWN by Family Tree Analyzer. One such complex relationship is "mother-in-law of 1st cousin of husband of" me. So, go through your list and find and label those who really are unrelated to you. Another way to find those unrelated people in your family tree, if you have Family Tree Maker, is the kinship report. You said.... After some research, you may decide to remove some unrelated people from your family tree....... but I would think they need to be "somewhere" so they don't end up back on the tree as maybe's..... I have a file called "not blood". That's a really good point. I do keep a folder of documents for "possible relatives". 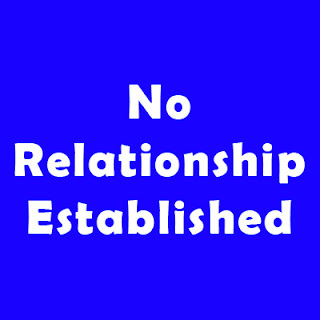 I do think I'd prefer to keep families in my tree with my big blue NO RELATIONSHIP ESTABLISHED image attached to them.